A totally immersive and truly transformational festival is on the map for their 4th year, in the futurist inspired city, Arcosanti, Arizona. The self-proclaimed mission of FORM is to celebrate creativity, foster collaboration, inspire new work & perspective, & to promote the role of art in public life in an atmosphere of meaningful intimacy. The festival will accept 800 attendees through an application process, with 2017 being the first year to charge for tickets. So much makes this festival special, my favorite being that pets are welcome and as The New York Times speculated in their 2016 write-up; it’s practically like festivaling in a friend’s backyard (an ultra-epic backyard.) FORM is the festival we’re most excited about for 2017, so stay posted here for more updates and pending line-up. “65 miles North of Phoenix in Arizona’s high desert, Arcosanti is a non-profit urban experiment in community, innovative design and environmental accountability. New Champagne Drip, dropping on this rainy west coast day. Zeds Dead & Diplo – Blame ft. Elliphant (Champagne Drip Remix) we wub wub it! Only Tuesday and already Flunked, Dave Tipper’s new ep is, of course, incredible. 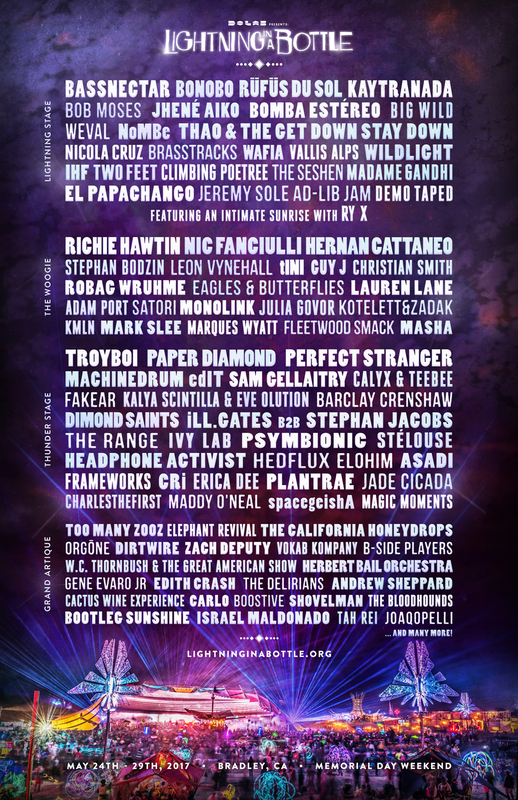 Early Bird tickets For Lightning in a Bottle go on sale today! 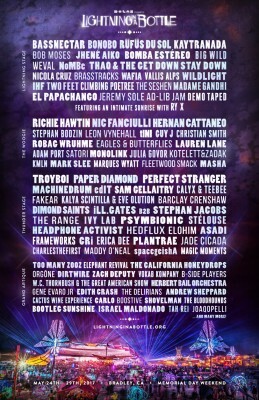 Visit the LIB Website for tix before they sell out. (Only a limited amount this year) Last year was EPIC per the usual, so can’t wait to see you all there again!